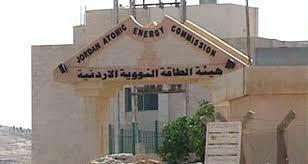 Jordan Seeks Nuclear Deal with the U.S.
AMMONNEWS - Chairman of the Jordan Atomic Energy Commission, Khaled Toukan, announced Amman’s renewed intent to reach a nuclear cooperation agreement with the U.S. in an interview Sunday. A revival of previously stalled talks would represent an alternative to a nuclear deal with Russia for a country badly in need of new electricity sources. The agreement would give Jordan the ability to utilize U.S. technology, specifically small modular reactors, which could revitalize the Kingdom’s aspiring nuclear program. Deliberations with U.S. hit a roadblock earlier this decade when Jordan refused to commit to not enriching uranium, despite U.S. concerns over proliferation. Toukan now says he is looking for a compromise that would reassure Washington. Jordan’s nuclear prospects are currently dependant upon a $10 billion deal made last March with Russian state owned company Rosatom. The firm plans to complete two nuclear power reactors by 2025. The reactors would be constructed in the northern city of Amra and will run on the unmined uranium deposits discovered in 2007. Jordan is still in search of a partner to help fund the deal. Toukan acknowledged in the interview that the current likelihood of the plant being built is between “70 to 75” percent. Jordan currently imports 96 percent of its electricity, spending an estimated $3 billion a year or more than one-fifth of its GDP. Jordanian officials predict that nuclear energy will cut energy costs by 70 percent, and will halve domestic energy imports. A natural gas pipeline, scheduled to begin operating in 2017 from the Tamar gas fields in Mediterranean Sea via Israel, will also relieve energy shortages. Meanwhile, regional violence has cut off Jordan’s oil supply from Iraq and natural gas from Egypt, leaving the country with shortages and no local energy resources of its own. The constant instability of supply–resulting in blackouts, shifting oil prices, and radical electricity price hikes–helped trigger countrywide protests in 2012. With Jordan’s energy needs rising 5 to 7 percent annually and expected to climb with the incoming flow of Syrian refugees, the Kingdom now has a unique opportunity to deepen cooperation with its allies.